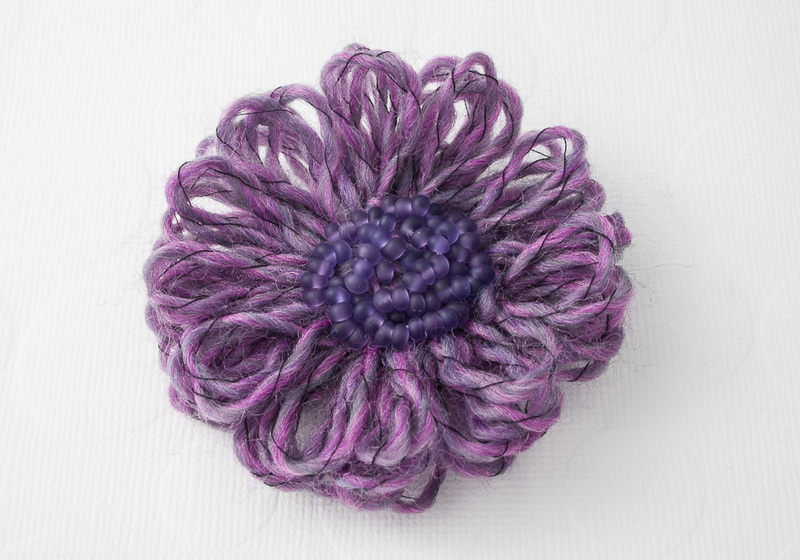 A hand stitched wool flower brooch with a seed bead middle, in various shades of purple. Finished with a silver plated brooch clasp. 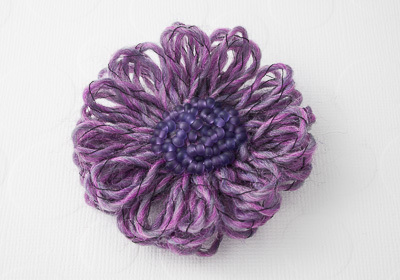 The brooch measures 70mm in diameter.